The Annual Meeting of the South Pacific Regional Fisheries Management Organisation (SPRFMO) today adopted a measure (regulation) for managing deep-sea fisheries on the high seas of the South Pacific. 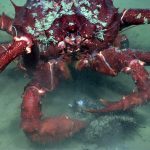 The regulation will allow New Zealand vessels to continue deep-sea bottom trawling on biodiversity hotspots on seamounts and deep mountain ridge systems on the high seas, putting large percentages of deepwater corals, related ecosystems, and rare species at risk in the Southwest Pacific and Tasman Sea. At the same time, the meeting reviewed the activities of a New Zealand vessel, the Amaltal Apollo, caught repeatedly bottom trawling last year in an area closed by SPRFMO to protect deepwater corals. Pending the outcome of prosecution against the captain and company, scheduled to begin in February in Nelson, the SPRFMO meeting decided to keep the vessel on a draft list of illegal, unreported and unregulated (IUU) fishing vessels. New Zealand trawl vessels have dragged up many tonnes of corals and other vulnerable deep-sea habitat forming species over the past ten years of deep-sea fishing on seamounts on the high seas according to a report provided to SPRFMO by New Zealand in September of last year. The United Nations General Assembly has repeatedly called on States and regional fisheries treaty organisations, such as SPRFMO, to prevent bottom trawl fishing in sensitive habitats and other areas of deep-sea biodiversity or else prohibit bottom trawl fishing. The UN’s 1st World Ocean Assessment in 2016, in reviewing the status of seamounts worldwide, expressed concern that “deepwater trawling has caused severe, widespread, long-term destruction of these environments globally”. 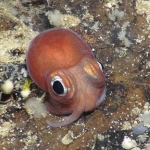 As a result of concerns expressed by the European Union, the regulation will be reviewed by the next meeting of SPRFMO’s Scientific Committee to determine whether in fact it does provide protection to deep-sea biodiversity. “We are urging SPRFMO member countries to scrutinize this regulation much more carefully than they have done this week and ensure that at the next meeting of SPRFMO it is amended to ensure the protection of biologically rich and diverse deep-sea ecosystems”. UN 1st World Ocean Assessment, 2016. Chapter 51. Biological Communities on Seamounts and Other Submarine Features Potentially Threatened by Disturbance (page 15). 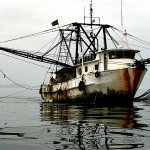 Marine biologists have been raising concerns about bottom trawling for years. The fishing technique involves a boat dragging a weighted net along the seafloor, scooping up whatever marine life swims or sits in its way. 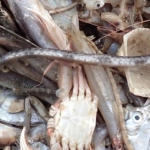 In their pursuit of commercially valuable seafood, not only do bottom trawlers unintentionally kill or injure non-targeted creatures as bycatch, they can disrupt the marine habitat itself and kick up sediment plumes that smother nearby organisms. 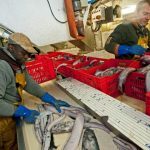 The European Parliament today concluded a long process of negotiation by voting to adopt a new regulation on deep-sea fishing, including a ban on bottom trawling below 800 meters in EU waters, and an obligation to close deep-sea areas to bottom fishing to protect vulnerable marine ecosystems (VMEs). The Parliament vote to approve the regulation paves the way for its entry into force early in the new year. The priority now is to ensure vigorous and effective implementation. Advanced robotic technology has allowed researchers to capture unprecedented footage of marine life surrounding the UK’s tallest underwater mountains. The United Nations General Assembly (UNGA) wrapped up a two-day workshop today in New York to review the implementation of a set of landmark resolutions adopted by the General Assembly over the past ten year calling for action by States to prevent damage to deep-sea ecosystems from destructive fishing practices.